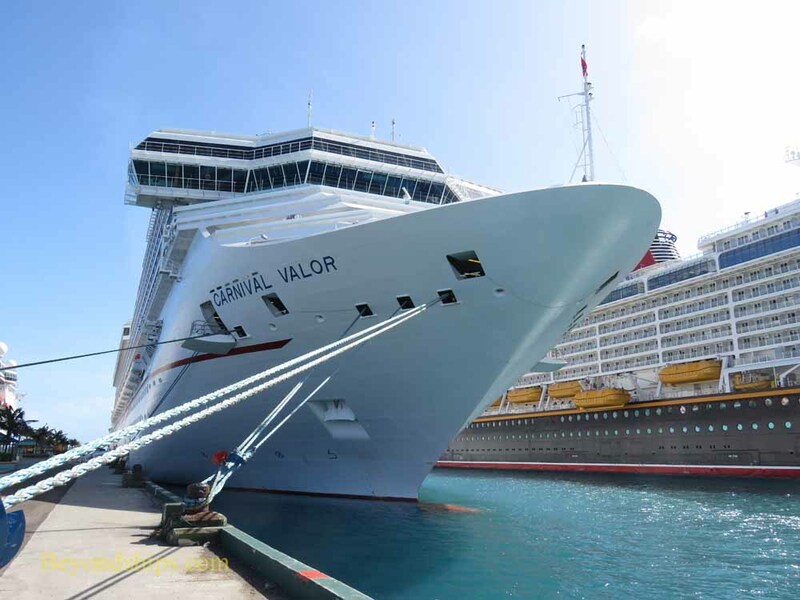 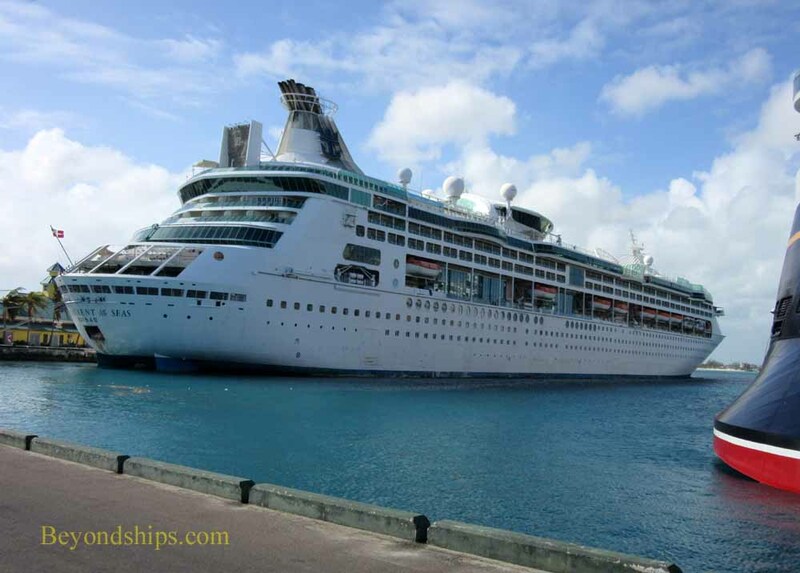 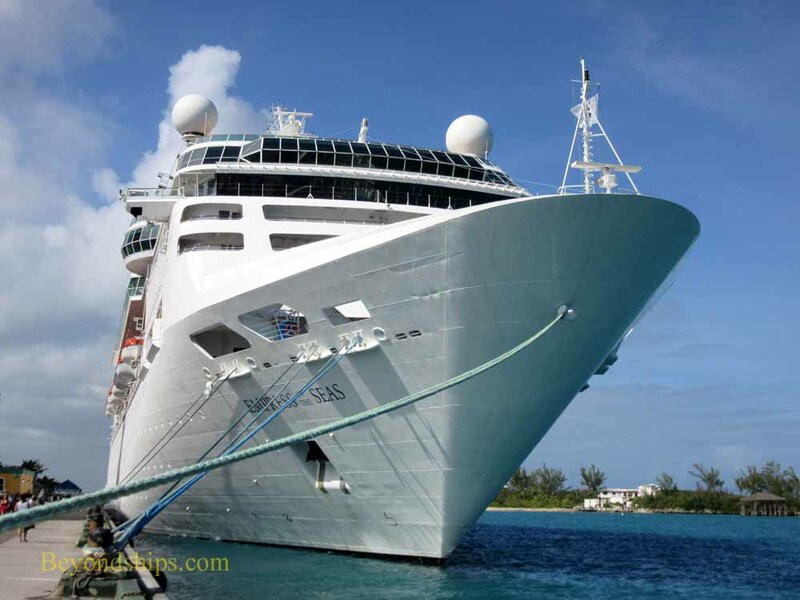 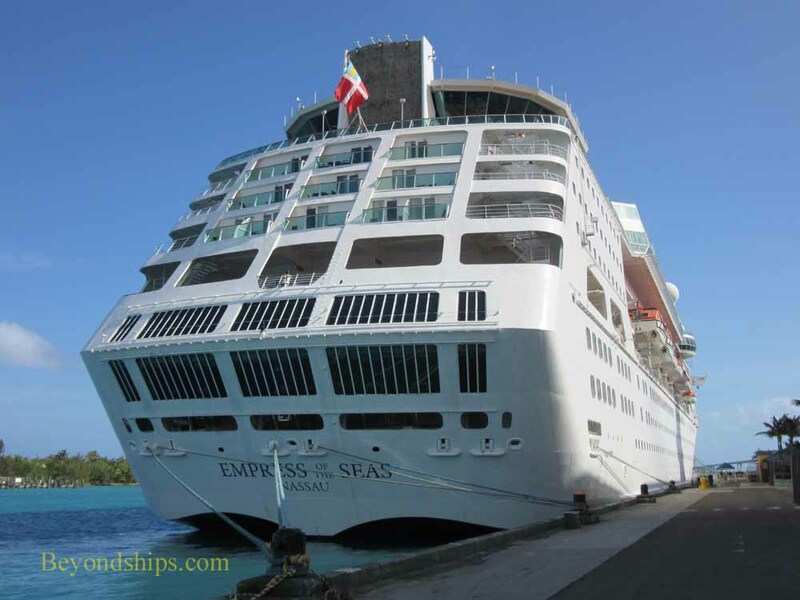 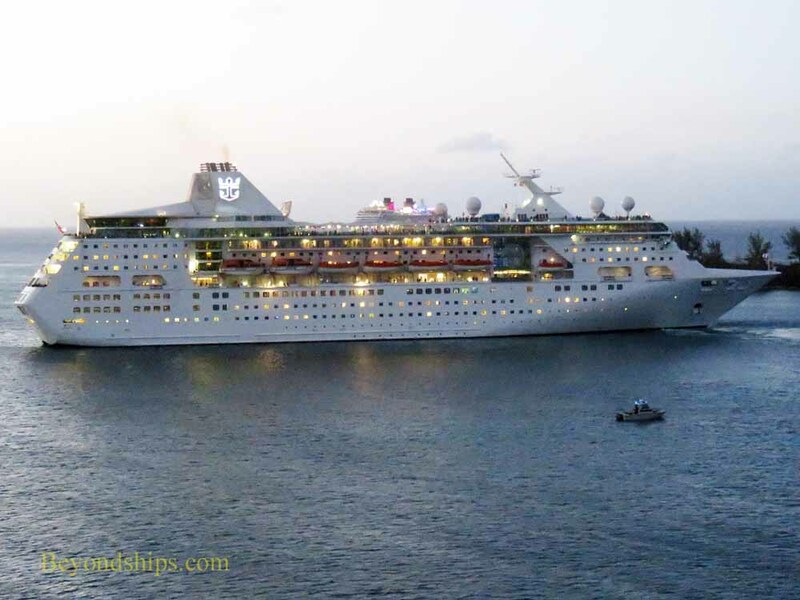 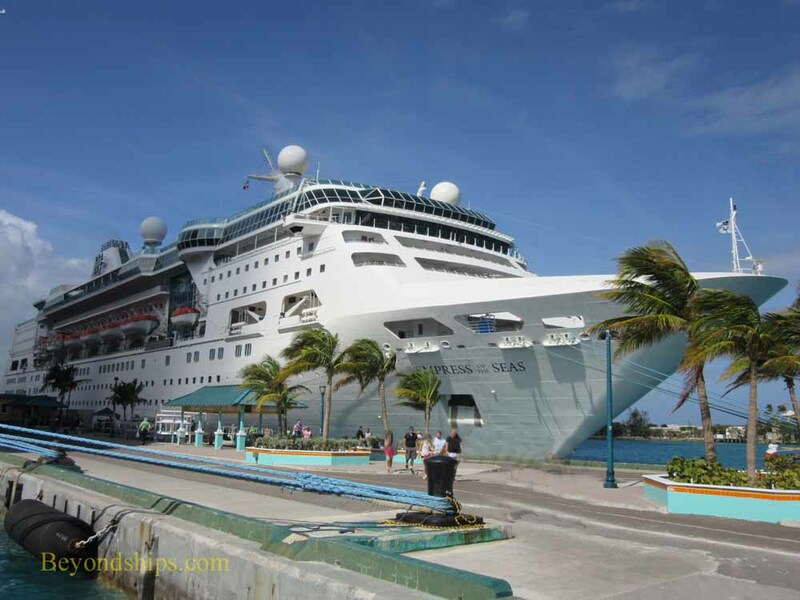 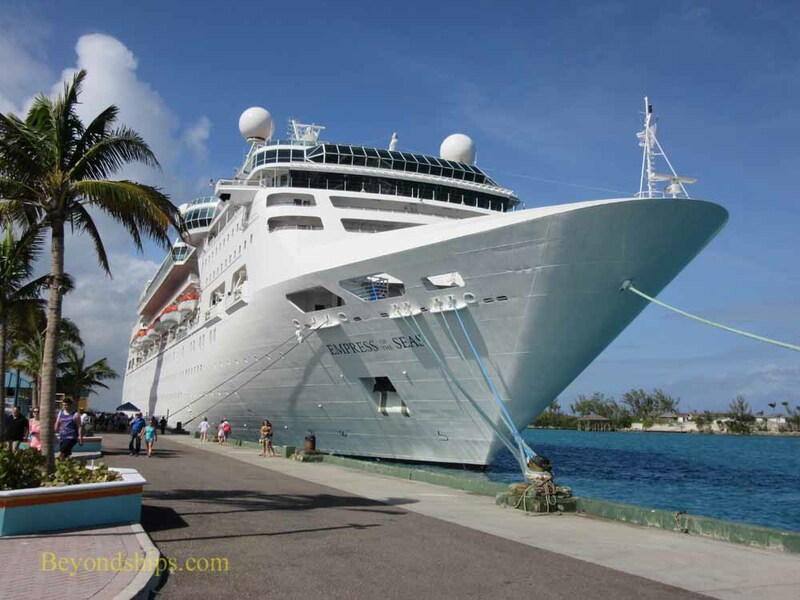 ​Empress' first port of call on this cruise is the city of Nassau in the Bahamas. 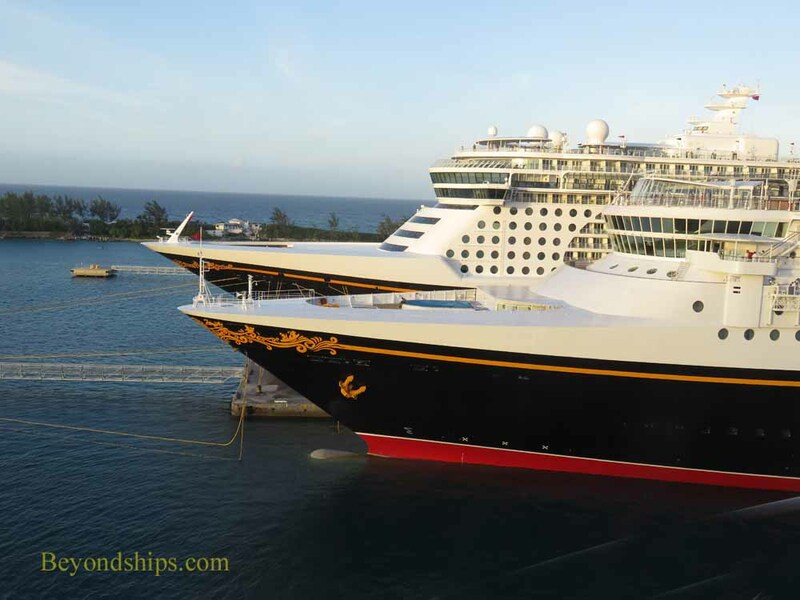 Nassau tends to be a busy port and with Empress this time are Disney Dream and Disney Wonder (above); Carnival Valor (above right) and Royal Caribbean's Enchantment of the Seas. 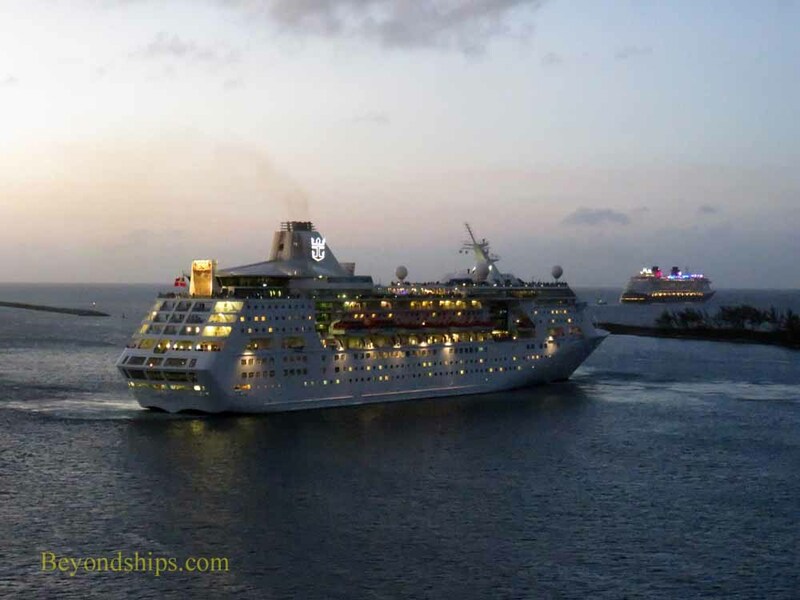 As the sun sets, the cruise ships depart from Nassau. 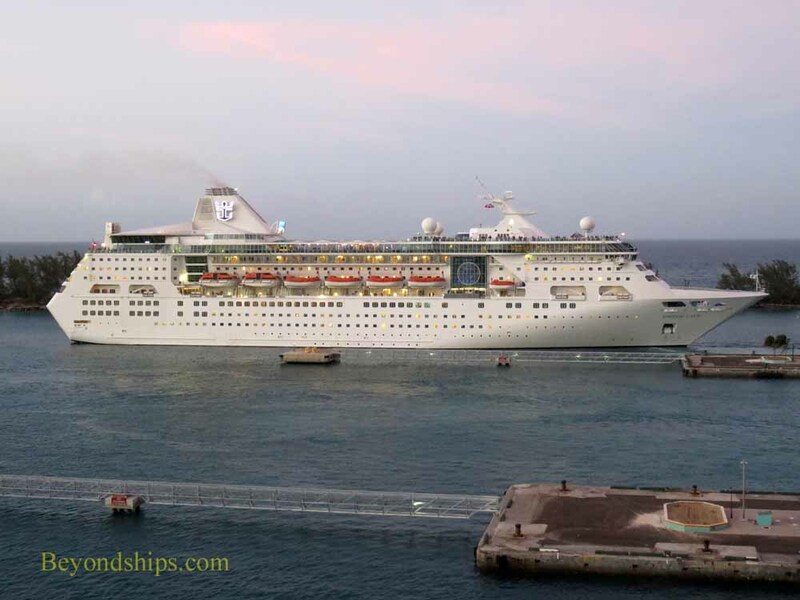 Empress backs out of her berth and then makes a T-turn to bring her bow about 180 degrees. 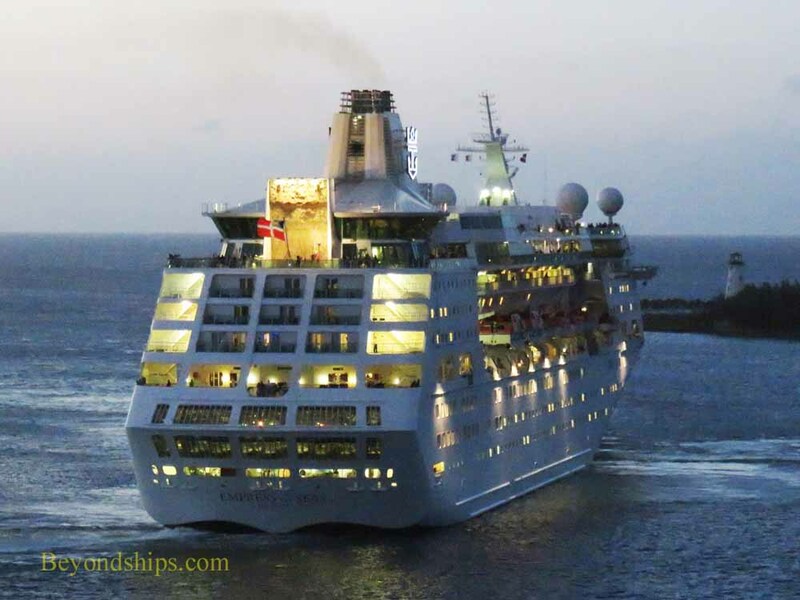 She then exits past the lighthouse and off to her next port of call.